Congratulations to Hall for Cornwall on the announcement of a £5m grant from Arts Council England towards their capital redevelopment project. This is fantastic news for the people of Cornwall and, the support of the Arts Council, is a tremendous boost for a major theatre that is routed in the culture and character of the County. 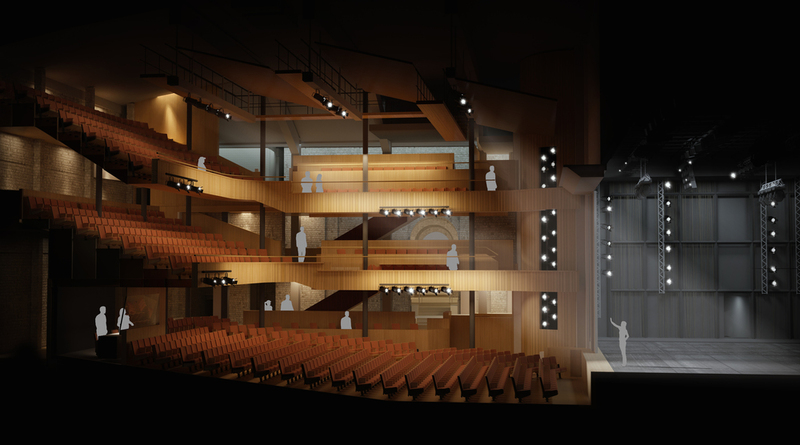 The building is located at the very heart of Truro, on a site with a rich cultural heritage, and we are delighted to be assisting the Hall for Cornwall team in realising their vision for a new multi-layed auditorium, suitable for drama, music and comedy, that also better reveals the stunning historic fabric. We are pleased to announce that our Associate, Faye Davies, has been accepted on to the RIBA Conservation Register at Specialist Conservation Architect (SCA) level. Architects at this level are “able to demonstrate authoritative knowledge of conservation practice, principles and philosophy, and to contribute to development of conservation standards”. Faye has been with the practice for ten years, where she has been project architect on a number of Grade I, II* and II buildings including the Royal Society, the Academy of Medical Sciences and private family residences. Earlier this year she was awarded a Graduate Diploma in Conservation from the Architectural Association. She is currently working on the conservation and remodelling of the Picture House Cinema in Campbeltown, Listed Grade A, to form a two screen cinema, and proposals for the refurbishment and remodelling of York Guildhall.